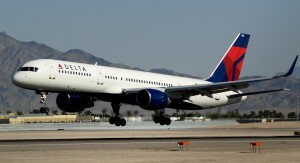 The U.S. airline Delta resumes from June 2nd direct flights between New York and Malaga airport on the andalusian Costa del Sol. During the summer season will be available a total of six weekly flights between both cities. Of the passengers who flew to Malaga last year, 60% were American. Delta is the largest and most important U.S. airline in transatlantic flights with more destinations in Europe and Asia than any other airline. Iam planning to fly Delta from Malaga airport to JFK in July 2016. Would like to find the fare in USD or Euro.